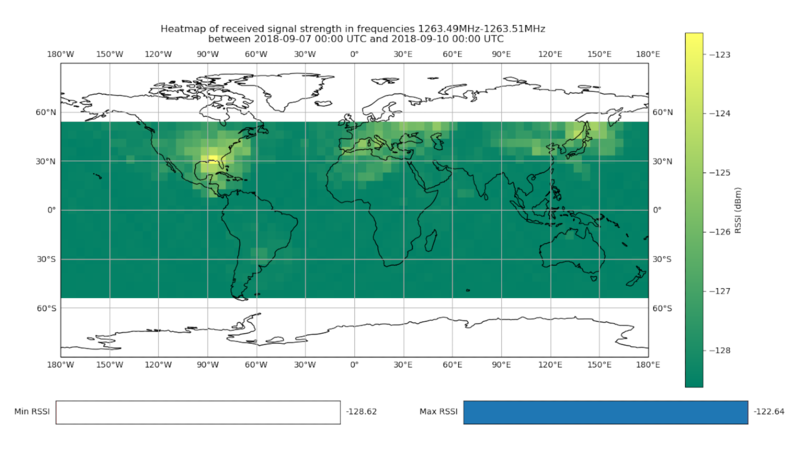 Where initiatives like the Open Satellite Project aim to receive signals from radios installed in satellites orbiting the earth, the MarconISSta project takes the exact opposite approach: monitoring the Earth’s radio frequency spectrum from space, using a Lime Microsystems LMS7002M-based LimeSDR installed on the International Space Station. Led by Martin Buscher of Germany’s Technische Universität Berlin, with support from the German Aerospace Center (DLR), the European Space Agency (ESA), Amateur Radio on International Space Station (ARISS), and others, MarconISSta – named for the Italian term for a radio amateur – has behind it a broad goal: the mapping and monitoring of radio spectrum use throughout a range of spectrum sections, in an effort to track interference and support initiatives into spectrum sharing efforts. “The main objective of MarconISSta is to monitor radio spectrum use in different frequency bands. For this, MarconISSta measures the signal strength over a specified range of the spectrum over various orbits, and calculates the maximum and average over time,” Buscher explains in the project’s NASA documentation. “The measured data is stored, and then forwarded to the scientific user. Over time, a map of global spectrum use is established. A key feature of MarconIISta is that it is based on off-the-shelf hardware: the team sent up a LimeSDR software defined radio, which combines the Lime Microsystems LMS7002M programmable radio frequency integrated circuit (RFIC) with an Altera Cyclone IV field programmable gate array (FPGA), and connected it to the International Space Station’s existing Amateur Radio on International Space Station (ARISS) configuration and an Astro Pi, an experiment platform based on the low-cost Raspberry Pi single-board computer already in place on the ISS. Even proven off-the-shelf hardware requires considerable testing before being considered suitable for use on the International Space Station, however. The project’s blog highlights the process of ensuring the hardware will not only perform as promised but not interfere with any other projects already installed on the ISS or, in a worst-case scenario, endanger the ISS and its occupants themselves. From temperature and vibration testing to ensuring it won’t interrupt ARISS operations, the route to space was a long one – but highly successful. 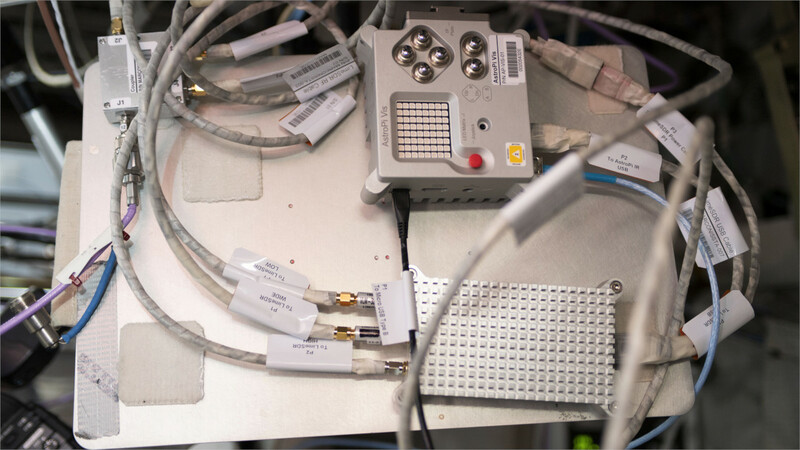 The MarconISSta experiment package arrived on the ISS in June 2018, and was successfully installed and tested back in August. Since then, the team has been working hard on analysing the received data – which, unfortunately, contain a gap following the need for a manual reboot after a planned power-off of the ISS’ Columbus module in late August. 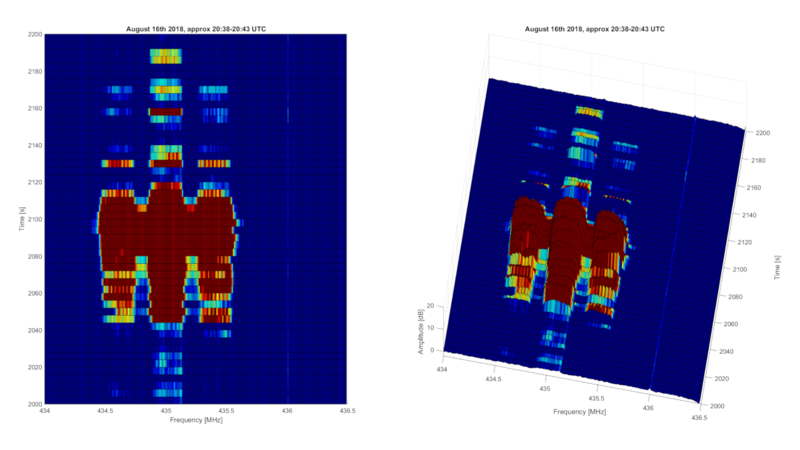 Even so early into the process, the project has thrown up some interesting findings – including the different global use of the 1263.5 MHz and 1264 MHz frequencies, made clearly visible in two-dimensional heatmaps. As more data is received and new ways of interpreting that data found, it’s hoped that conclusions can be drawn as to new approaches for sharing congested spectra among varying amateur and professional satellite operations. While the team is hard at work with obtaining and analysing the data from MarconISSta, that’s not the full extent of the project: Buscher and colleagues are also working on Spectrum Analysis of LEO Satellite Allocations (SALSA), a custom-built payload for “cubesat” micro-satellites designed to allow for spectrum analysis in much the same way as MarconISSta but no longer limited to a single orbital position. 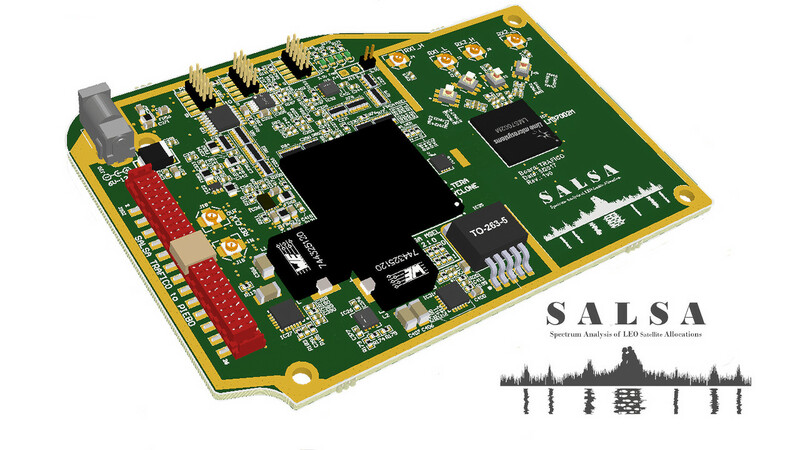 Like MarconISSta, SALSA is based on the LimeSDR; rather than using it in off-the-shelf form, however, SALSA takes the LimeSDR’s open hardware and software designs and creates a customised yet fully compatible variant specifically tailored for satellite use. The projects have inspired others to contribute, too: Djani ‘9A4DB’ Bodlovic has written of his own experiments to support the MarconISSta project on the Myriad-RF forum, using a ground-based LimeSDR, while Buscher has responded with confirmation that the MarconISSta team plans to run experiments in partnership with ground-station operators to measure their signal strength from space – not something typically available to the average amateur radio operator! Full project details can be found on the official website.